I'm not sure how to put into words how many bicycles there are here. 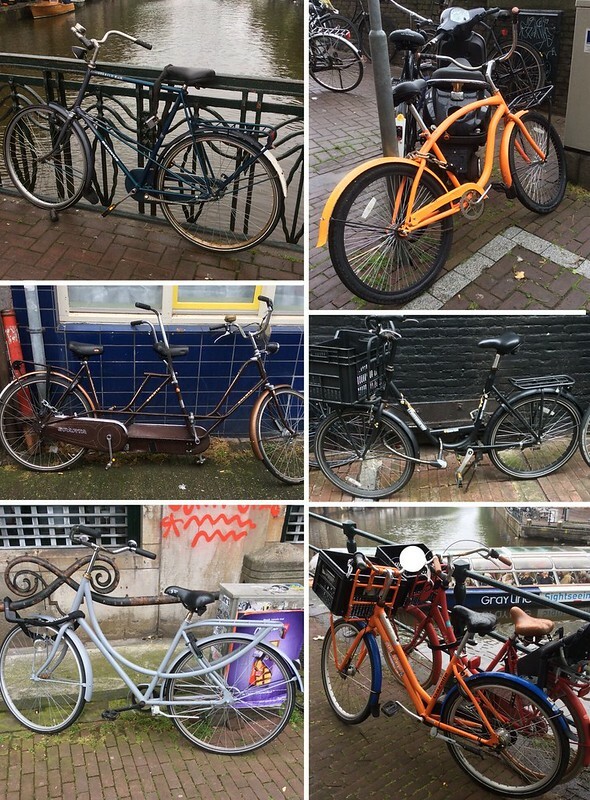 I could look up the statistic, but instead I'll just share a handful of the different bikes we've seen around. 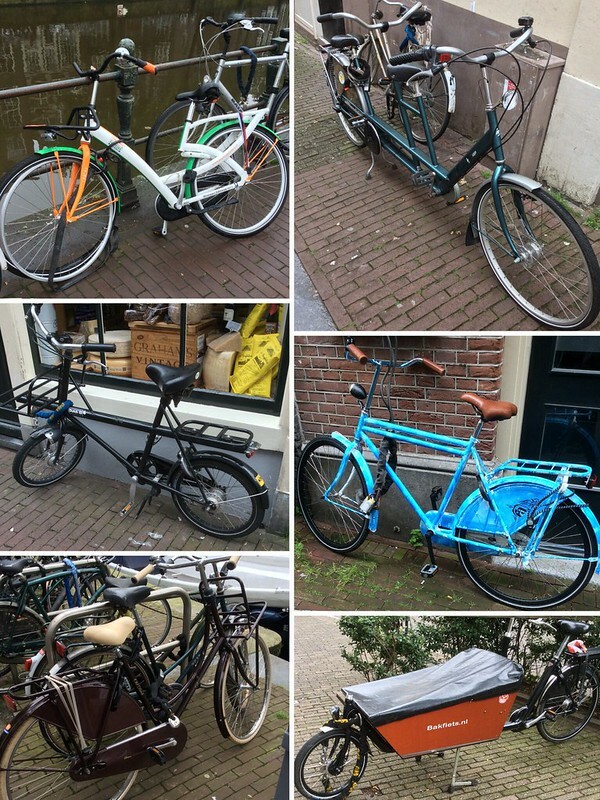 Almost all the bikes we've seen in the city are fairly typical "Dutch" bikes, which have step-through frames for easy mounting/dismounting, swept-back handlebars that provide a very upright riding position, and some hardware on the front and/or back for carrying things. But there are all sorts of variations on this theme! Bakfiets are literally, "boxes" that are attached at the front of heavy duty bikes and are used for carrying anything from children to carpets. A lot of bikes have child seats in all different configurations. 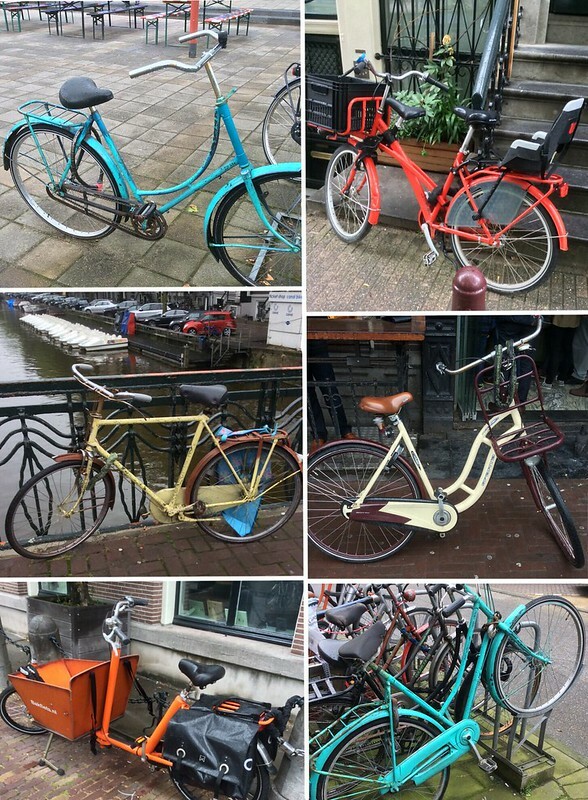 That's a lot of bikes! But every time we thought we'd seen all the possible variations, we'd pass another one that was unique! 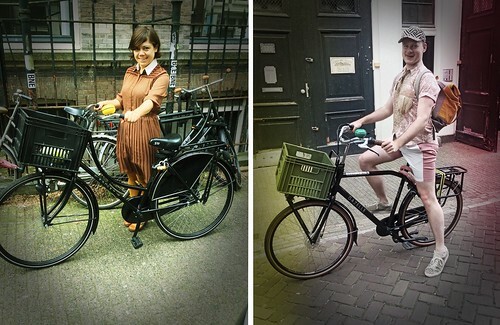 And, for some more knitterly bike photos, check out Stephen West and Malia Mathers with their great Dutch bikes! We were feeling pretty different from the other riders around us our first week, with our drop handlebars and helmets (which we have continued to wear despite the peer pressure of almost no one else doing so). But then the weekend came! We went for a ride on Saturday and were surprised and delighted to be passed by a lot of riders who made us feel more at home - sporty folks in Lycra and helmets! I only wear bike shorts under cute skirts (even on tour), so I never really expected to relate to the spandex crowd, but their presence was actually reassuring. I guess some of those folks in suits and dresses that we saw riding the clunky city bikes on weekday mornings also have fast bikes at home! It makes sense that those bikes wouldn't be casually strewn along the sidewalks and fences like the everyday bikes. I guess they're kept safely inside along with the helmets. 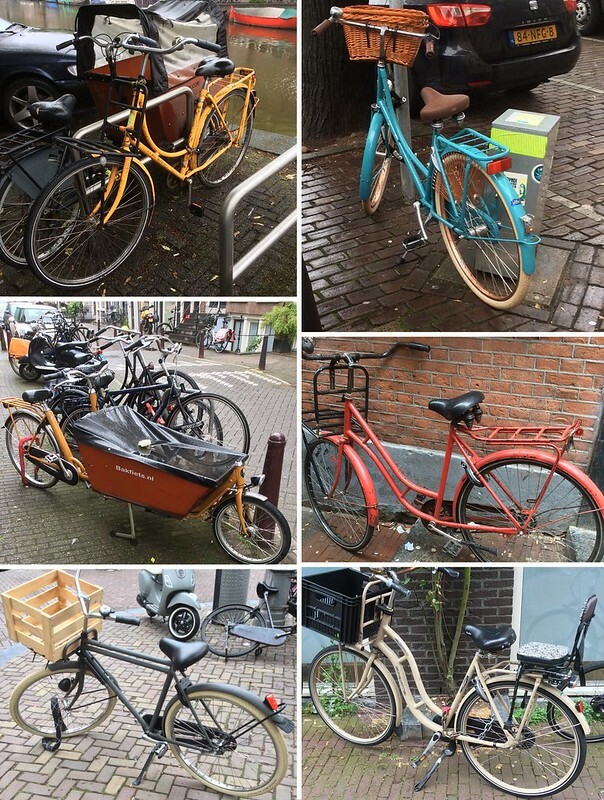 It's fun to look at pictures of bikes, but it's even more fun to see people riding them! Next time I'll share photos of lots of different riders, their bikes, and the way they transport their kids!